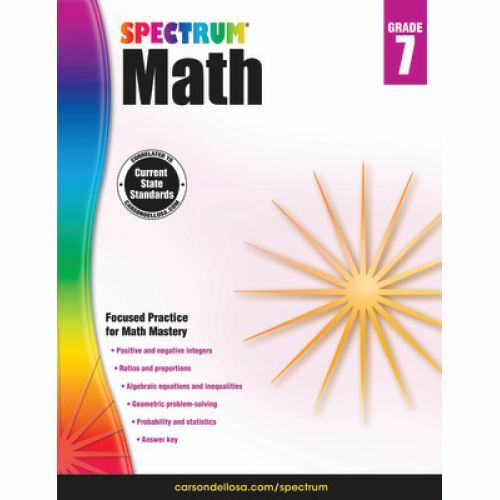 Enhance problem-solving skills and ensure math success with Spectrum® Math for grade 7. This teacher-loved series helps kids stay ahead in math by providing systematic and thought-provoking practice designed to increase in complexity. Spectrum Math for grade 7 keeps kids at the top of their math game using progressive practice, math in everyday settings, and tests to monitor progress. The math workbook covers algebra, geometry, statistics, proportions, ratios, and more.